I would love the levitating globe. the around the world electronic game looks fun! I would love to give the Wacky Wigglers Mechanical Toy Set to my children. I like the Universal Family Telescope. I like the Grosvenor Desk Globe. Thanks for the chance to win! I would love to get the Grosvenor Desk Globe for my husband. I know my kids would love the Expedition Grizzly DVD! What a fun story! I’d love to receive The Last Lions DVD and book! 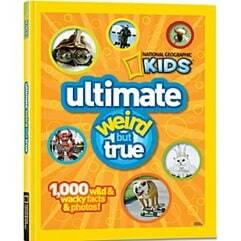 I would love to give the National Geographic Ultimate Nature DVD Collection Deluxe Edition. The Universal Family Telescope would be great for the family! I would love to receive the ancient roman coin necklace. I would love to get the Peruvian Copacati Amazonite Necklace. This mag has been insturmental in eco education all over the world. My family would like the Programmable Robot Rover. I love their standing globes! I would like to give the Around the World Electronic Game to my Grand Kids. I really like the African Shona Elephant Sculpture. I would also like to give the National Geographic Bowers Illuminated Globe as a gift, how cool is that? !